Oxford Waterproof Gel Cushion, 2" X 16" X 18"
This Full Length Armrest Pad is 13 7/8" long and 2" wide. The vinyl upholstery and base are black. 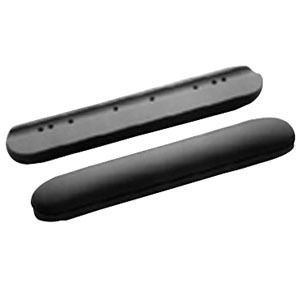 This armrest pad from The Aftermarket Group includes multiple hole spacing, making it universally compatible. The holes are spaced at 2 inches, 6 13/16 inches, 8 15/16 inches and 10 inches. 1.25" screws included.